Below you will find valuable information thermography, a service we bring to you via Radiant Health Imaging. Radiant Health Imaging provides medical thermal imaging. Are you proactive about staying healthy? Then allow us to help with your personal wellness program by providing health screening technology that is safe. A thermography scan detects inflammation in the body with amazing accuracy even before a symptom appears! Early detection allows for early intervention. And you're worth it! Popular for breast health screening, we specialize in full body scans. After a career of 20 years as a Medical Laboratory Technologist with the USAF and in the civilian sector Pam switched gears. 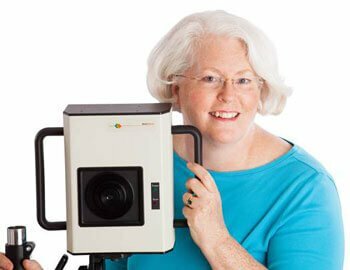 In late 2005 she started a thermography practice in Iowa because she saw a need. She attended training at Duke Univ Medical Center under the auspices of the American College of Clinical Thermology. She has been offering her services through the IHHC for 4 years now. Appointments available at IHHC on first Wednesday of each month.